Apple's new iPhone events are now the biggest gadget launch of the year, and it's been no different this year, with Apple taking over the huge Bill Graham Civic Auditorium in San Francisco to announce its new flagship smartphone: the iPhone 6S. With the eyes of the world on it, Apple delivered in spades, and after months of speculation, rumours and leaks, we finally got our first look at the – once again – gorgeously designed iPhone 6S. Now that Apple has officially let the cat out of the bag, what do we know about the new iPhone 6S, along with its bigger brother the iPhone 6S Plus? And, most importantly, when can we get our eager little hands on the new devices? When is it out? 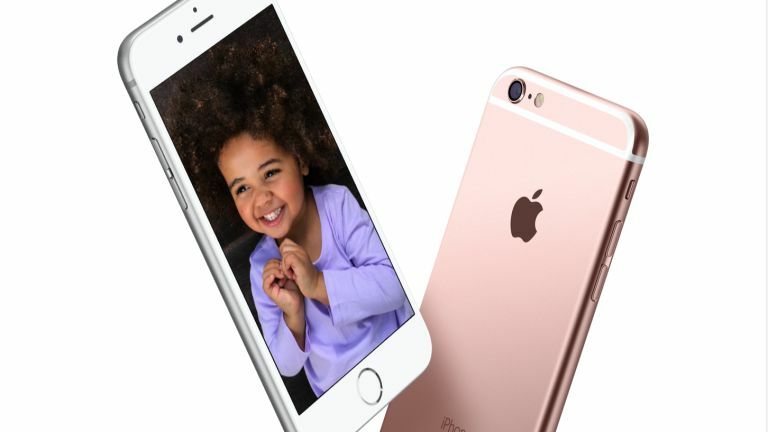 You can pre-order the iPhone 6S and iPhone 6S Plus on Saturday 12 September, and available from September 25.
iPhone 6S: What is it? Apple launches a new iPhone (or two) every year in September and things are no different in 2015. The iPhone 6S launch date has been confirmed as September 9, and we're ready for the ninth generation of the Cupertino firm's famous smartphone. The iPhone 6S will take over the mantle of Apple's flagship phone from the iPhone 6, but as the name suggests the differences between the two will be relatively incremental. The iPhone 6 and iPhone 6 Plus will also remain on sale, following Apple's recent tradition of keeping its older handsets available for a cheaper price. At the launch event on September 9, Apple CEO Tim Cook announced that we wouldn't have to wait long to put our names down for the iPhone 6S and iPhone 6S Plus, with preorders opening the following Saturday, September 12. The handsets themselves will start winging their way to us from September 25, though if past iPhone releases are anything to go by, you might have to sit tight while enough stock is made available. Network operators Three and Vodafone has already told us they will be stocking the iPhone 6S and iPhone 6S Plus, while you'll also be able to walk into a Carphone Warehouse, Currys PC World and, of course, Apple Store high street shops to get hold of one. Whenever a new iPhone is announced we always prepare ourselves (and our wallets) for the worst when it comes to naming the price, but this year Apple had some pretty good news. The iPhone 6S will launch at the same price as the iPhone 6 did last year, so for the 16GB variant you'll be splashing out £539, with the 64GB version costing £619 and the 128GB version weighing in at £699. The iPhone 6S and iPhone 6S Plus will both feature an all-new 12MP iSight camera, which comes with 50% more pixels than the snapper in last year's models, for even more detail in your photos. As megapixels alone don't maketh the camera, the sensor has also been improved behind the scenes, and autofocus is now faster and more accurate. As Apple showed during its event, even images in low-light conditions contained fantastic detail, and for the first time ever for an iPhone, the iPhone 6S can take 4K videos as well. For budding Speilbergs out there you can then edit the 4K footage on iMovie on the iPhone as well. Using the new 3D Touch technology (more on that in a bit), you can also press and hold the Camera app icon and instantly choose to take a selfie shot with the 5MP front-facing camera. The iPhone 6S and iPhone 6S Plus also use their screens as a “Retina Flash” to help compose the best Face-Time photos ever, even in the dark. Live Photos is another new feature, and though Apple was keen to stress how revolutionary it is, we're not sure. It's still a nice sounding addition, though, and as after you've taken a photo as usual, you can press on it with the 3D Touch screen and, the photo plays as a short video clip instead. Live Photos are taken automatically, all you need to do is take your photos as you would normally, and the iPhone 6S will capture the moments before, during and after you say "cheese" Another nice touch is that when you swipe through your library, preview clips of the Live Photos play as well, making your images feel alive. The iPhone 6S will come with a 4.7-inch screen, with the iPhone 6S Plus sporting a 5.5-inch retina display, and the displays of both handsets will come with brand new glass made with a new ion process, making them less prone to scratches or cracks. The screens also come with the much rumoured 3D Touch technology, which Apple claims is the biggest change to how we interact with our phones since the inclusion of multi-touch with the original iPhone. 3D Touch originally made its debut on the Apple Watch, though it was called Force Touch on Apple's wearable. It can tell what force you're using when tapping on the screen, giving you even more control over how you interact with the iPhone, and as Apple claims, it makes it the most powerful iPhone ever. Using the “Peek” gesture, which is activated by pressing and holding the icons of your favourite apps, you can quickly bring up additional menus that makes using the new iOS 9 software easier than ever. As expected the iPhone 6S (and iPhone 6S Plus) comes with a new and improved A9 64-bit chip, which is 70% faster at processing tasks than the A8 chip in the iPhone 6. It's also 90% faster at graphics, with Apple promising “console-class” graphics. It also comes with the M9 motion coprocessor for tracking your fitness with health apps, and it helps power Siri to help the virtual assistant stay on and listen to your commands whenever you need her. This means all you need to do now is say "Hey Siri" and your iPhone 6S will load up Siri, allowing you to use voice controls without even having to touch your iPhone. The iPhone 6S also supports LTE-Advanced mobile data, which is a lot faster than the LTE support found in the iPhone 6, and it also has two times faster Wi-Fi as well. If you like using your fingerprint to unlock your phone, then you'll be pleased to hear that the iPhone 6S has a brand new Touch ID sensor which is twice as fast as the previous version, so securing and unlocking your iPhone with just a touch has never been quicker or easier.